Toshiyuki Kimura, Yoshikazu Hasegawa and Naoki Kohno 2018. A new species of the genus Eschrichtius (Cetacea: Mysticeti) from the early Pleistocene of Japan. Paleontological Research, 22:1-19. 木村敏之・安藤佑介・安藤瑚奈美・楓　達也・服部創紀・村宮悠介 2018. 瑞浪北中学校敷地造成工事現場の下部中新統瑞浪層群明世層よりヒゲクジラ類化石2標本の産出．瑞浪市化石博物館研究報告, (44):43-51. Toshiyuki Kimura and Lawrence G.Barnes.2016.New Miocene fossil Allodelphinidae(Cetacea, Odontoceti, Platanistoidea) from the North Pacific Ocean. Bulletin of the Gunma Museum of Natural History, (20):1-58. 木村敏之・安谷屋昭・大石雅之・Felix G. Marx・長谷川善和・甲能直樹 2015. 宮古島上部中新統島尻層群大神島層より産出したナガスクジラ類化石「シマジリクジラ」．群馬県立自然史博物館研究報告, (19):39-48. Toshiyuki Kimura and Yoshikazu Hasegawa 2010. A new baleen whale (Mysticeti: Cetotheriidae) from the earliest Late Miocene of Japan and a reconsideration of the phylogeny of cetotheres, Journal of Vertebrate Paleontology, 30(2):577-591. Toshiyuki Kimura 2010 (for 2009) Review of the fossil balaenids from Japan with a re-description of Eubalaena shinshuensis (Mammalia, Cetacea, Mysticeti). Quaderni del Museo di Storia Naturale di Livorno, 22:3-21. Toshiyuki Kimura, Yoshikazu Hasegawa and Yoshitsugu Okumura. 2009. Early Miocene platanistoid from the Mizunami Group, Central Japan. Paleontological Research, 13(2):167-171. Toshiyuki Kimura, Yoshikazu Hasegawa and Lawrence G. Barnes 2006. Fossil sperm whales (Cetacea, Physeteridae) from Gunma and Ibaraki prefecture, Japan; with observation on the Miocene fossil sperm whale Scaldicetus shigensis Hirota and Barns,1995. Bulletin of Gunma Museum of Natural History, (10):1-23. 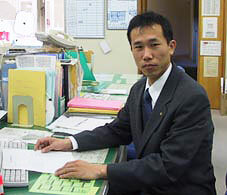 Toshiyuki Kimura 2002. Feeding strategy of an Early Miocene cetothere from the Toyama and the Akeyo Formations, central Japan. Paleontological Research, 6(2):179-189. Toshiyuki Kimura and Tomowo Ozawa 2002. A new cetothere (Cetacea: Mysticeti) from the early Miocene of Japan. Journal of Vertebrate Paleontology, 22(3):684-702. Toshiyuki Kimura, Tomowo Ozawa and Luis A. Pastene 1997. Sample preparation and analysis of mitochondrial DNA from whale baleen plate. Marine Mammal Science, 13(3):495-498.